All residents of the Argenta-Oreana Public Library District are welcome to register for a free library card and are entitled to check out materials at both branches and most public libraries across the state. 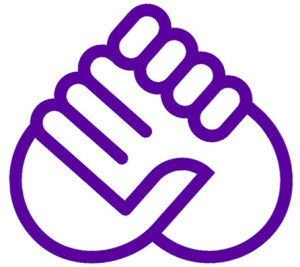 Bring a valid picture ID (driver’s license, state ID, military ID, passport, etc.) that shows your current mailing address. If you have recently moved, bring a valid picture ID along with a document that contains your new address such as a lease, utility bill, voter’s registration card, tax bill, imprinted bank checks, etc. 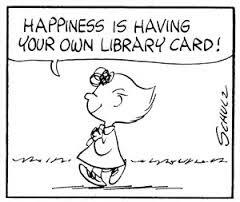 We encourage children to have their own library cards! Parents or legal guardians may use their ID to register children under 18 years old. Young adults (16 and older) with their own government-issued ID may register themselves for a card. Parents or legal guardians are responsible for any fines or fees that children may owe on their cards. Registered cards are valid for three (3) years. When renewing your card, we ask card holders to present the documents listed above to confirm their current address and contact information, even if it has not changed from the previous registration. Non-residents who do own property within the district, but do not live within the district are eligible for a card. When registering, bring a tax bill for the property within the district, as well as a picture ID. Non-resident property owner cards expire one (1) year from the issue date. The card will only be issued to the person named on the tax bill. Non-residents who do not own property within the district, and who are not served by another public library, may purchase a library card. How do non-resident cards work? Second, if it is the Argenta-Oreana Public Library District, the fee will be based on the current tax rate for the library. A picture ID and tax bill will be needed if you own; if you rent, a picture ID and lease. After payment has been made, a one (1) year card will be issued. This card will be valid at both branches and at most other public libraries around the state. The Argenta-Public Library District will keep confidential all records relating to your card registration and the materials you borrow. The cardholder will be held responsible for all items borrowed on your library card. If your card is lost or stolen, contact the library at 217-795-2144 (Argenta) or 217-468-2340 (Oreana) immediately so your account can be blocked from use.